Eleanor King is a Nova Scotian artist based in New York City. She has presented solo exhibitions at A.I.R. Gallery, Art Gallery of Nova Scotia, Southern Alberta Art Gallery, and Diaz Contemporary; and two-person shows at 326 Gallery and Eastern Edge. 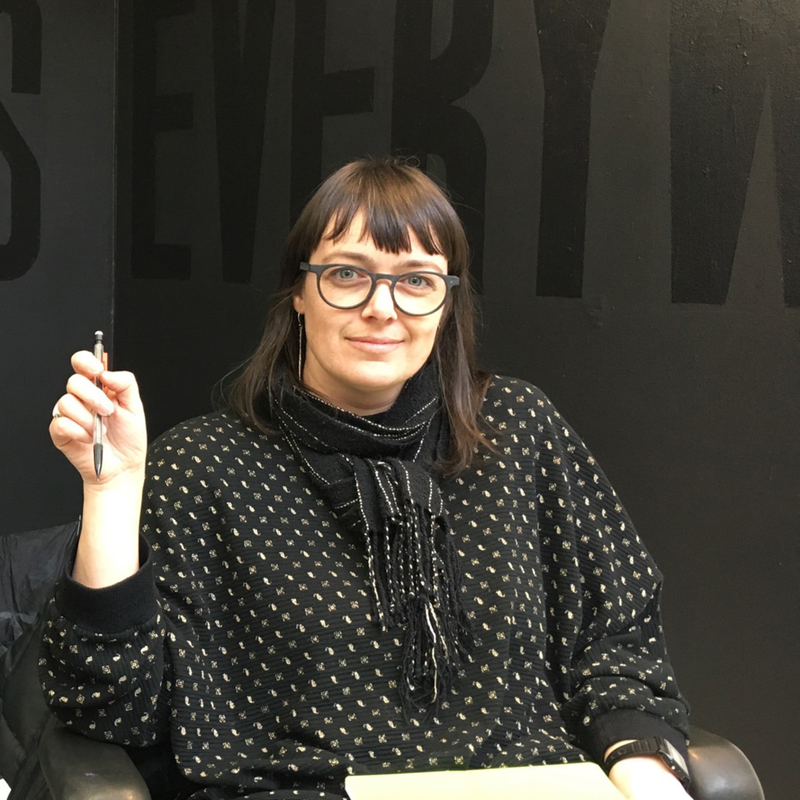 Her site-specific projects have been mounted at the Museum of Contemporary Canadian Art, Toronto’s Nuit Blanche, The Peekskill Project, the Spring/Break Art Show, and Franklin Street Works, among others. Her work has been featured in Canadian Art, Art in America and C Magazine. Eleanor is a Fulbright fellow with an MFA from the School of Art+Design at Purchase College, State University of New York, and a BFA from the Nova Scotia College of Art and Design. I make temporarily altered spaces, each installation imagined uniquely for a new site. Using a number of techniques, I build my work through repetitive actions, ephemeral gestures, and provisional materials. Previous painting works combine hard–edged abstraction and landscape. These compositions are inspired by satellite images which document human interventions in nature from above; inspired by the patterns carved into the landscape by agriculture or logging, for example. Other paintings and sculptural works combine abstracted text and plywood barricades, much like the hoarding around new developments and everyday graffiti in urban environments. 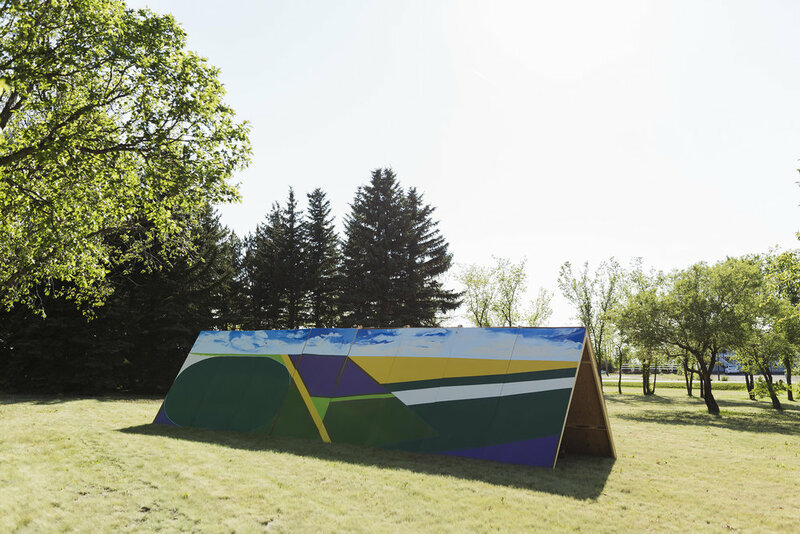 In Langham SK, I will create a site-specific painting/sculpture. This “billboard” is located in the Langham Town Park, which is a 1 km stretch of public land with renewed civic investment. The billboard-like structure will in fact be shaped like an extruded triangle; it will have its own structural integrity and with be clad with a painted surface on two sides. This landscape painting will incorporate two styles of gesture into one picture plane. The lower part of the image is akin to my previous work and additionally inspired by the colour field painting of William Perehudoff (born just outside of Langham in 1918). Above the horizon line the image is more “painterly” and inspired by Dorothy Knowles’ sky-focused images of Saskatchewan.